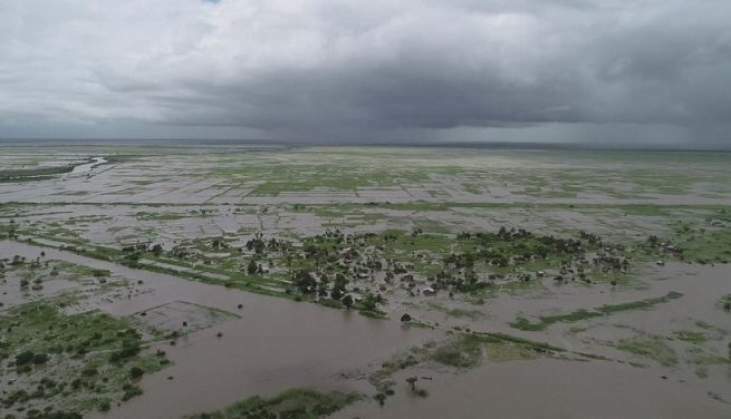 Seven more bodies have been recovered in Chimanimani, bringing the Tropical Cyclone Idai's death toll 31. Home Affairs Deputy Minister, Mike Madiro said rescue operations continue in search of the over 70 people who remain missing. Two of the dead are students at St Charles Luwanga, while the rest are from Ngangu township, according to Acting Manicaland District Administrator, Wilson Bore. Bore, who is also the Acting Head of the Civil Protection Department in Manicaland Province, said although more information is trickling in, over 125 houses in Ngangu have collapsed with forty people reportedly missing, while 30 are also missing in Rusitu. The number of houses that have collapsed in Rusitu is still unconfirmed but certainly connectivity to the affected places is now a challenge following the destruction of bridges that include Nedziwa close to St Lydia Chimonyo Girls High School. Elsewhere in Chimanimani, 13 Zimbabwe Consolidated Diamond Company (ZCDC) staff in Mawenje who moved to the mountain are waiting for rescue teams, while 67 houses have been damaged in Chipinge leaving at least 5 families homeless in the district. In Mutare, 20 families are now homeless following the destruction of their homes by the cyclone. Mr Bore appealed for more resources in light of the extent of destruction and increasing death toll in order to assist the affected families. Efforts to assist the affected families are being jeopardized by the inhibitive weather that is making flights into the area difficult. The cyclone is expected to also affect Mashonaland East, Mashonaland Central and Masvingo provinces, with the later having already witnessed the effects of the deadly storm after Mutimurefu Prison's four cells had roofs blown away this morning. According to the Zimbabwe Prisons and Correctional Services (ZPCS) Officer Commanding Masvingo Province, Assistant Commissioner Social Ndanga, section 2 of the prison which houses b -class prisoners had roofs of 3 cells blown away which section 2 which houses c and d class prisoners had the roof of one cell blown away. The prison authorities have however quickly moved in to repair the roof at the section 1 cell. The authorities indicated that no prisoners escaped.